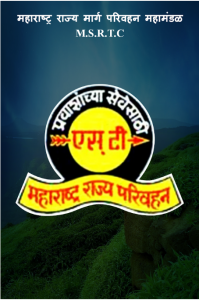 Maharastra state Road Transport corporation (MSRTC) have come up with bus reservation app for online reservation of MSRTC bus tickets. This application will enable user to serach and reserve bus tickets for routes covered by MSRTC, in and around Maharashtra. 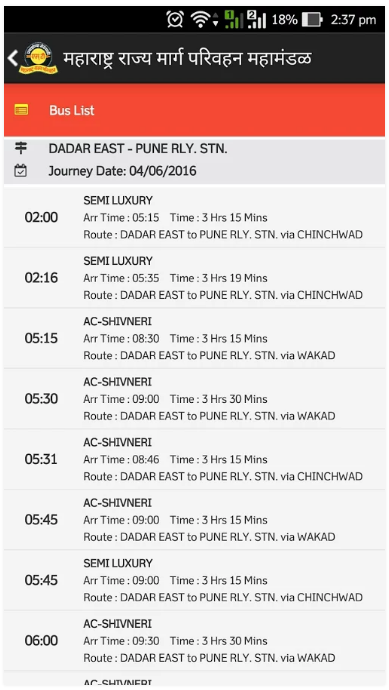 Booking can be done for A/c and Non- A/c buses like Ordinary, Semi-Luxury, Shivneri and Sheetal. 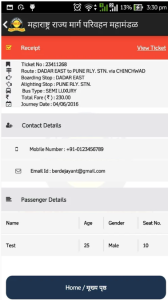 To check MSRTC online bus fares. 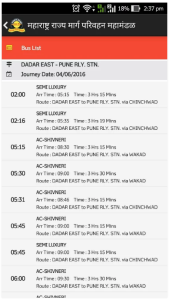 How to use MSRTC Mobile Reservation App? Download the app from google play store using the link above. Create account by registering yourself on the application. Enter start location and destination and click Search. Select the Bus which is convenient to you. 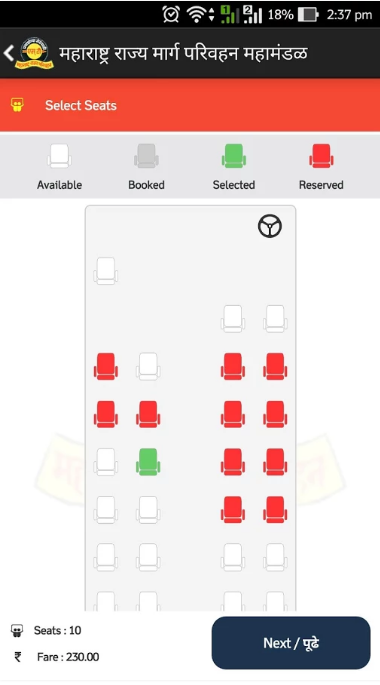 Now click Pay Now option and pay the ticket price. You will get confirmation message and email confirmation.